The noises emanating from Prague’s blossoming fashion scene may not yet have established the clarity of speech, but they make themselves heard through the communicative and expressive power of clothes. 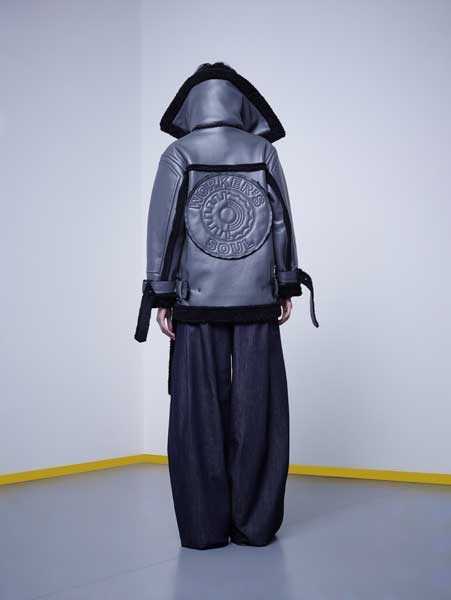 An individual’s style is already a dialogue between the wearer and society at large, and a means to establish a distinction between themselves and the pack. A reciprocal conversation, other individuals choose a look which exchanges their opinions about the nuance and potential of appearance with our own, making participants of us all to a steady stream of knowing glances to those whose styles we recognise and approve of, alongside a covert hostility to outfits which threaten via their striking originality or dubious taste. Since 2004, high school friends Anna Tuskova and Radka Sirkova, the pair of designers behind the brand Chatty, have been speaking directly to Prague – the city where they both studied, established their growing reputation for progressive cuts and luxury fabrics and continue to be based – while increasingly casting whispers beyond their home to the international fashion market, who are starting to pay attention to what Chatty and Prague have to say. This includes Paris, the city where every designer must eventually cut their cloth, from whose latest fashion week Chatty have recently displayed their Autumn / Winter 2016 collection in the Bloody Gray showroom alongside the work of Martina Spetlova, another accomplished member of Prague’s latest batch of emerging designers. 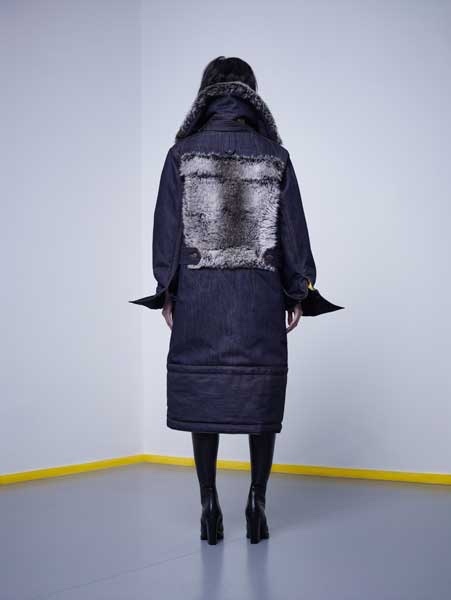 This collection, to also be shown in Prague at the end of March, is a maturation of Tuskova and Sirkova’s talent and their brand’s origins with denim. Not satisfied with the quality of jeans they found in Prague when founding Chatty, the designers elected in their spare time to make their own to wear, without any intention of making them available to the market. They were so well received by clients of their main Chatty line that bespoke jeans soon became a major diffusion label which continues to this day, with customers able to fine-tune every detail of their tailor-made jeans to their specific preferences – from colour of stitching to choice between zipper-fly or buttons – once the main selection from 30 types of denim has been made and their precise measurements taken. From beginning twelve years ago by meeting unexpected client demand for custom jeans intended only for themselves, to being among the three finalists nominated for the Czech Grand Design’s Fashion Designer of the Year Award and having a collection on display in a Paris showroom shows the adaptability of the designers and the superior execution of the main Chatty line, with the personal progression of Tuskova and Sirkova matched by the evolution of their latest collection. 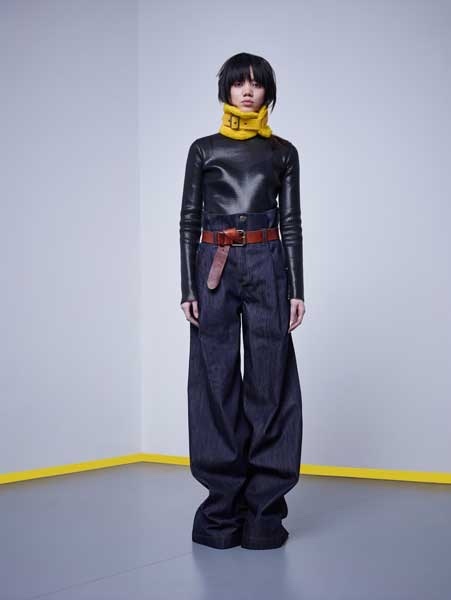 As if in tribute to the communication between the label and its customers which led to the origination of their Chatty denim sub-label, this same discussion is carried forward into the unisex character of their latest collection. Their interpretation of unisex clothing was instigated by requests from their male customers, to whom the label has listened and complied with. Less precisely cut and more comfortable, as for the number of oversized pieces on show, the collection takes its inspiration from the distressed nature of builders’ clothes following a long day soaking up sweat and grime and the equally dishevelled appearance of revellers when the lights finally go up at the end of a Northern Soul night, a resolutely working class dance and music scene emerging from the already fashion-forward English 1960s mod subculture which is now sweeping through Prague’s night clubs. As always, Chatty have their ears to the ground – now is the time for the wider fashion market to dance to their tune.